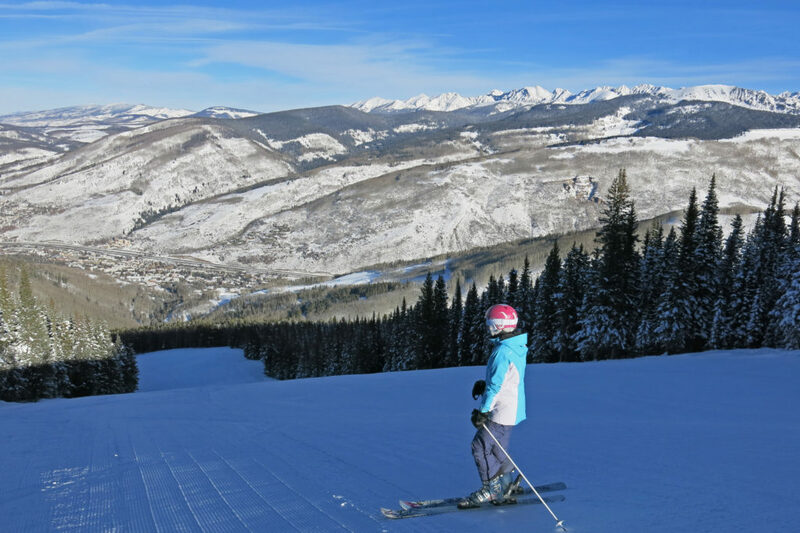 Vail has just about everything we want in a ski destination — good snow, lots of varied terrain, and a great town. All of our 8 visits have been great fun, and we have been incredibly lucky that they all featured great snow conditions. 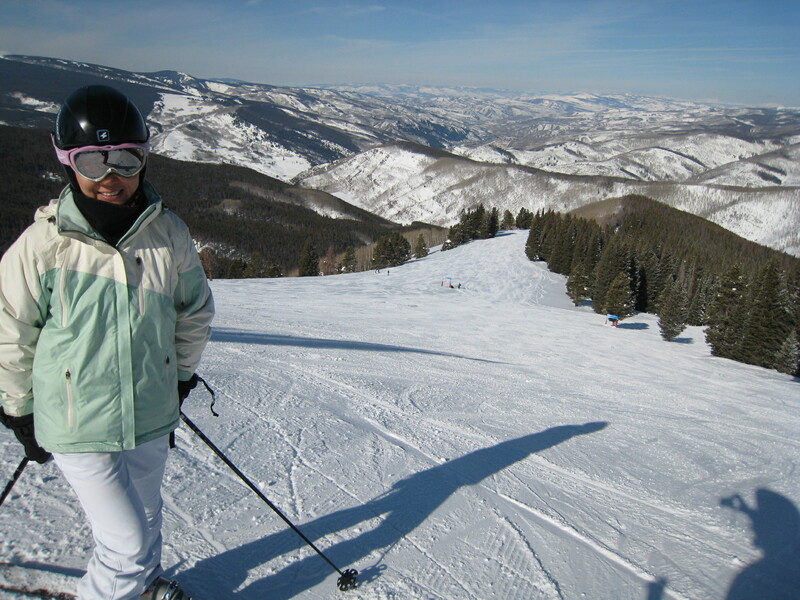 Vail is the most visited ski resort in the United States. It’s the kind of place that if you didn’t know better you would think was designed and built from scratch as the ideal ski mountain for the majority of skiers. Long, wide, tree-lined intermediate runs dominate the north side, and wide-open huge bowls are the primary feature on the south side. 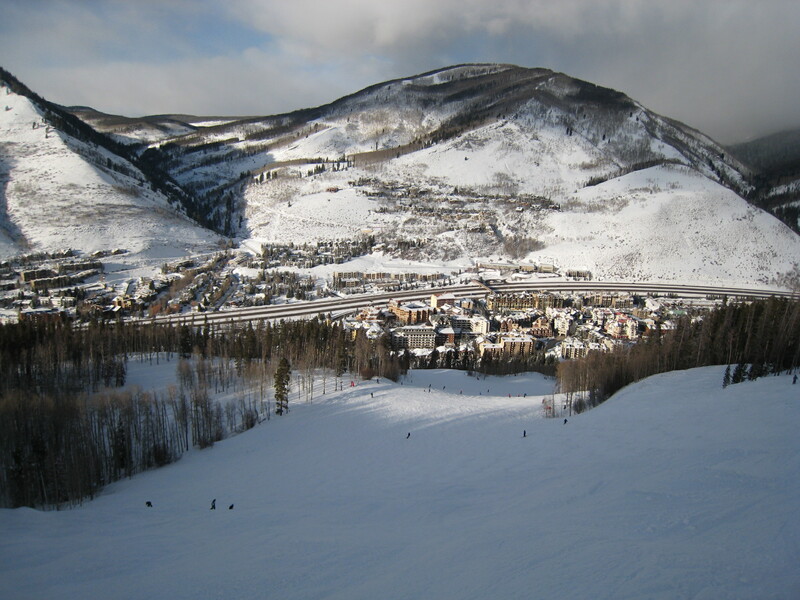 There are multiple base-areas with most lodging accessible slope-side or via a short walk through the town. 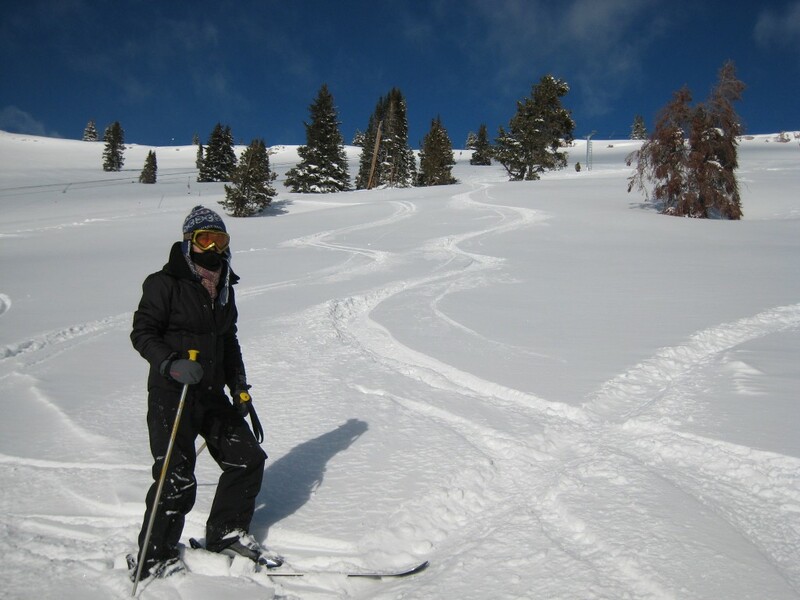 We usually stay at lodging close to Lionshead or Golden Peak, so starting there we often hit the frontside groomers first, or start working our way over to the back bowls by hitting Game Creek bowl or Northwoods. If it’s a powder day we will usually head straight for Sunup or Sundown bowl and work our way over to Mongolia after lunch at Two-Elk lodge. 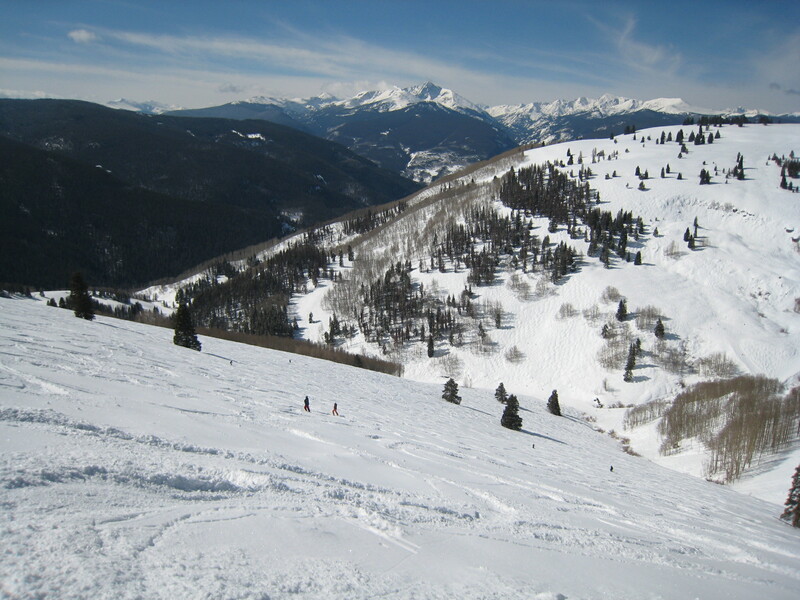 Note that if you are new to skiing Vail, you will probably spend a lot of time on cat track roads trying to get from one area to the next. Avoid that if possible by skiing from one area to the next on actual runs. It takes longer, but you will have a better time and will experience fewer crowds. Vail is usually all about the wide groomers, but with only 8 visits there and perhaps 18 total days, at least half of them have been powder days. The 366 average annual inches of snowfall is above average for Colorado. Being in Colorado, it’s colder and drier than California so the snow surface is on average much better than we are used to elsewhere. On non-powder days the grooming is 2nd to none. 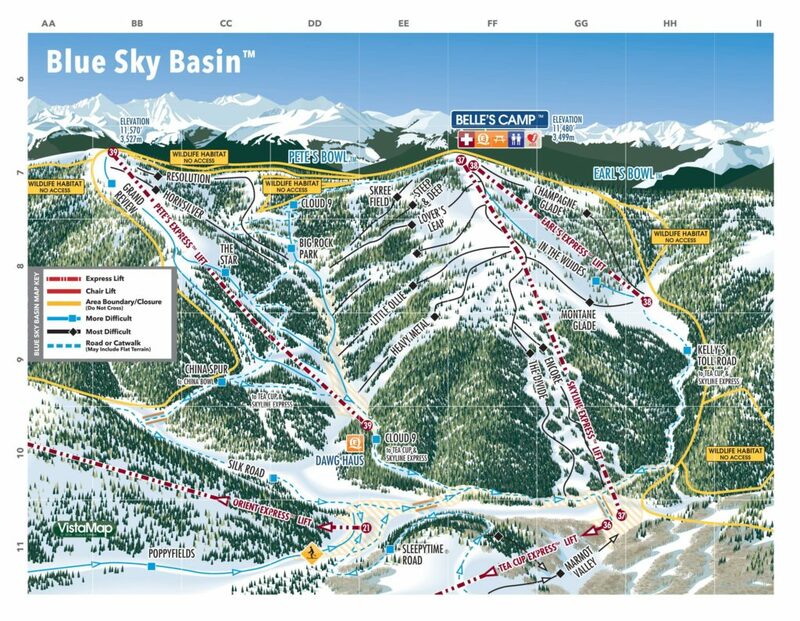 The network of lifts is mostly up to the task of moving the thousands of daily visitors around, and if you avoid Mid-Vail and a couple of other hot-spots, you can usually ski right up to the chairs, or only wait a couple of minutes. It is cold there in January, but we have found that it’s generally not very windy even during a snowstorm. The town has a great European feel to it and most of the traffic is on foot in the village area. There are of course great restaurants in the village, and we often have a late lunch at one of the off-mountain restaurants at one of the base areas before heading back out for a few more runs. 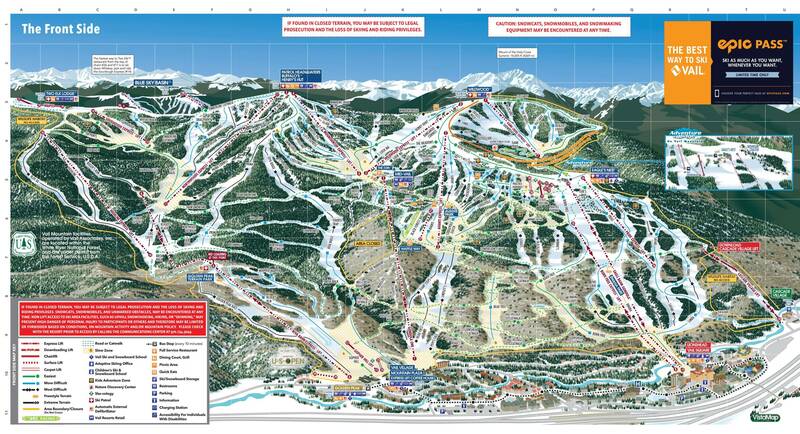 The lift network at Vail is 2nd to none. They have spent untold millions upgrading every major lift to a high-speed detachable type. Mid-Vail lift lines can be really bad. There are 2 very popular lifts there that attract hordes of lower intermediate skiers. The Mid-Vail lodge is also pretty packed at lunch. Of course everything is expensive at Vail, which has the most expensive at-window lift ticket in North America. If you are driving your own car for a day ski, parking is expensive and sometimes hard or impossible to find. Although there are 193 runs, none of them are above tree line and there are very few truly challenging runs there for the hard-core expert skiers, so it’s not as “Alpine” of an experience as some other resorts are. Getting to Vail from Denver can be a nightmare on I-70. Over the years we’ve seen the traffic get worse and worse both coming from and going back to the Denver airport. 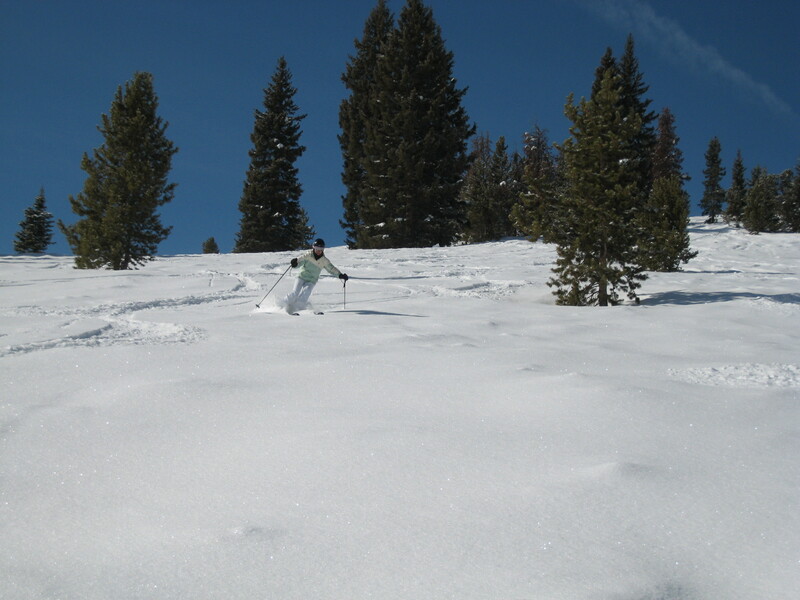 We always seem to end up having our most memorable runs in Blue Sky Basin and Mongolia Bowl. Mongolia is usually pretty empty and less tracked-out on a powder day. Try to get as close to first chair as you can to hit the freshly groomed blue runs on the front-side. Riva Ridge after a fresh grooming is one of the must-ski experiences you should have. 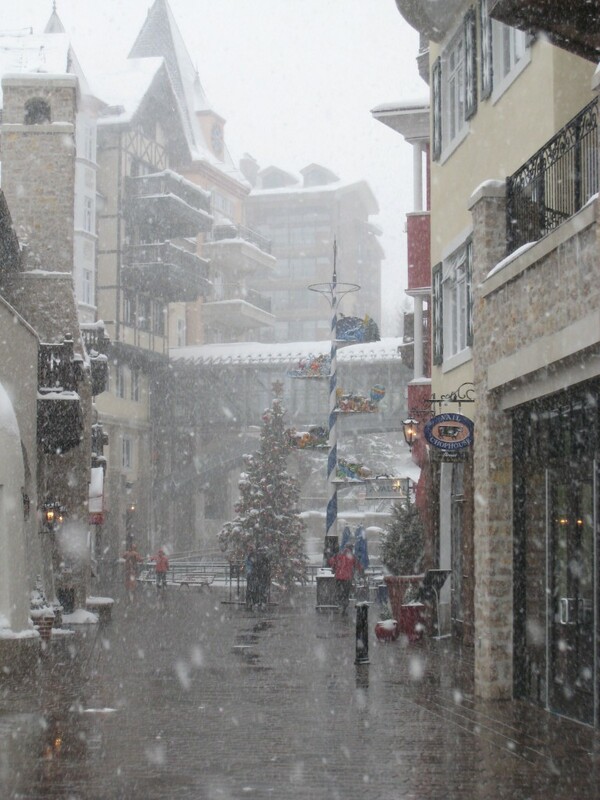 Vail is a top 10 resort for us and is usually ranked as one of the top 3 in North America. It’s a premium experience with a high price but you will never forget it!